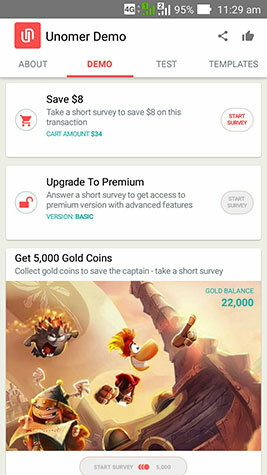 In-app Survey for accurate, in-the moment insights from the right consumers at the right time. 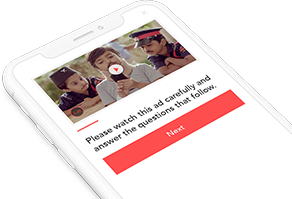 Reach and engage consumers on a network of mobile apps to gather insights and intelligence based on audience profiles, behavioral data and interactive survey responses. Access the largest and most relevant base digital consumers on a network of widely used mobile apps. 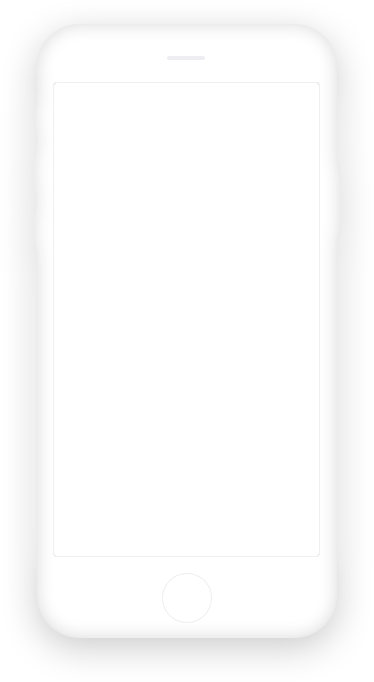 Use mobile behavior and passive data to target the right consumers profiles and audience segments. 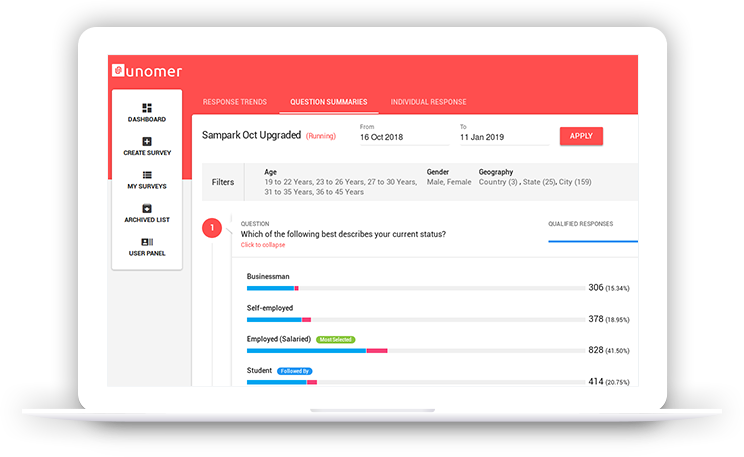 Get undivided attention and in-the-moment insights with contextual, in-app incentives and rewards. Videos, images, logos, photos, audio responses – harness the true power of mobile for deep insights. Access live data on interactive graphs with advanced segment and demographic based analysis. 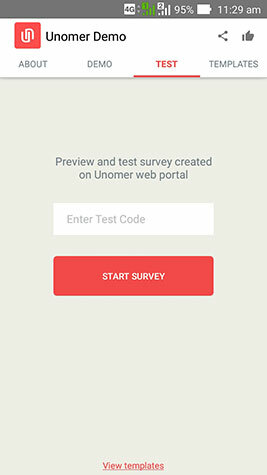 Unomer is a powerful mobile platform for consumer research. 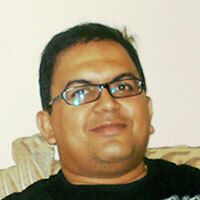 It turns smartphones and mobile apps into a channel to get insights for brands. 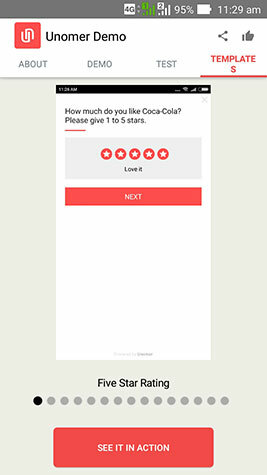 This is the future of market research. Startup event to bring entrepreneurs, investors and corporate representatives together. 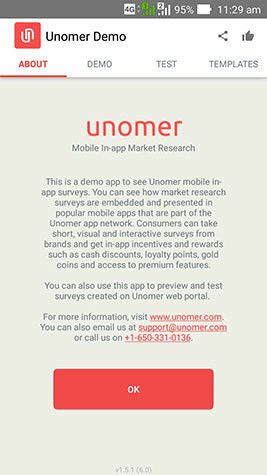 Download and install the demo app to see how Unomer mobile in-app market research platform gives brands access to a large base of smartphone users, enables precise targeting based on user profile and behavioural data, and delivers in-the moment insights in real-time.